Last month, a survivor of domestic abuse bravely agreed to be filmed by Calendar news to raise awareness about our new Champion scheme. Louise gave an account of her own experiences which included her ex-partner isolating her from friends and family, belittling and threatening her and, at times, imprisoning her. Louise eventually sought support and, with help from IDAS, was able to start a new life free from abuse and the threat of violence. Louise’s personal story not only highlights the horrors of living with domestic abuse, it also provides an insight into some of the additional isolation that can be felt by survivors living in rural areas. Like many people, Hannah didn’t think domestic abuse would happen to her. 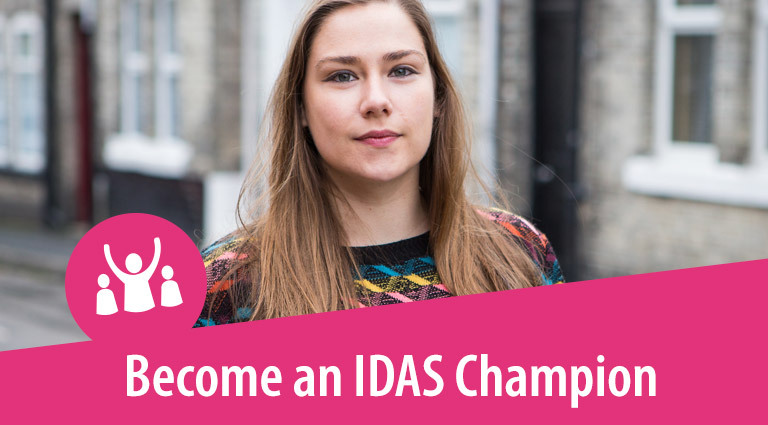 IDAS Champions scheme aims to reach into rural areas and to those people who don’t think abuse can happen to them or their families. It will help both professionals and members of the public recognise the signs of domestic abuse and enable them to sign-post victims and survivors to our service. Anyone can be affected by domestic abuse so no matter where you live in North Yorkshire or Barnsley, if you are concerned about yourself, a friend or a family member please call 03000 110 110.